A wood bookcase is often the heart and soul of your living room. Here, we show you how to choose the best bookcase. Bookshelves have a variety of uses not limited to holding books. For example, the aptly named display bookcase is designed to store books and display items. Bookcases can also be used to protect or display valuable art pieces. A bookcase shelf is often made from plastic-coated boards, veneered particle boards, or solid wood boards. These boards are held by metal rims so that your books, objects, photos, and art pieces can rest safely. The most popular material used for a display bookcase is wood. This is because wood is sturdy, durable, paintable, and complements any decorating theme. Perhaps you’re looking for a reclaimed wood bookcase or a sleek display case. If so, take a look at our collection of bookcases on sale. You’re sure to find the perfect one for your home. Having a library within easy reach is one of the greatest luxuries in life. Especially if you are a teacher, a student, or you just like to read books! For those of us who love to read, getting rid of books can be painful. But if you have a big enough bookcase, you won’t have to part with your precious books ever again. Not only are bookshelves practical pieces of furniture, but they also add interest and depth to a room. Discover our collection of sale-priced bookshelves below and choose the perfect bookcase for your bedroom, office, hallway, or library. To help make sure you get the best bookcase for your home, we’ve put together some handy guidelines so that you can make your decision with full confidence. Material - The type of wood material you choose for your bookcase will be determined by how far your budget can stretch, the type and number of items you want to display, and if you plan to paint or change the bookcase. Many people like to buy a cheap bookcase and then upcycle it themselves. Another popular choice these days is a reclaimed wood bookcase, these offer character and charm in abundance. Size - The space available for your bookshelf and the number of books and items you’d like to display are major points to consider when buying a bookcase. A small wood bookcase will definitely look out of place in a large office or living room. Likewise, a big bookcase won’t fit into a small room very well. Make sure you measure your space before choosing a bookcase. Color - A wooden display bookcase always makes a room look more appealing and inviting. With its earthy tones, wood radiates warmth no matter the shade or color of the wood stain. Looking for more color? Wood bookshelves can easily be painted to any color you choose! Style - The design, layout, and shape of your bookcase should improve the existing style and arrangement of your space. A wood bookcase should be a complementary piece of furniture and fit in the room well. Wood bookshelves come in many styles like wall-mounted, open, and modular designs. A real wood bookcase adds depth and class to your rooms no matter the design. If you are like us you've always dreamt on having this classic cherry wood bookcase, by Sauder, a wonderful home décor fashionable piece. Made of excellent wood. 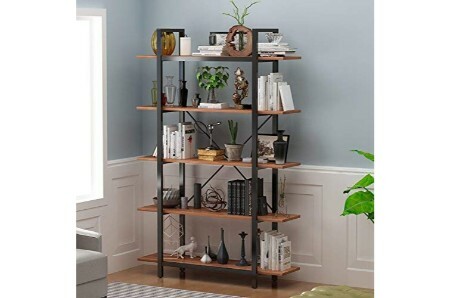 The best modern bookcase, amazing and affordable unique piece! Ingenious invention, check out this oak brown wood bookcase, created by DECHO DESIGN, astonishing living room adornment. Made of top-notch wood. Buy it now! A top rated for classic bookcase, this will put a smile on your face in the morning. Dreamlike oiled oak wood bookcase, brand: Sauder, model: 410367. Made of supreme wood, such a divine bookcase, a must have sitting room layout accessory. Finally the best wood bookcase for a great price , coolest ever! Nostalgia is back with this cherry wood bookcase, by Sauder, a must have office enhancement piece. Made with the finest wood. the best artistic bookcase out there, such a wonderful design with a true artist's touch, enjoy! Brilliant natural maple wood bookcase, by South Shore, model: 7113768. 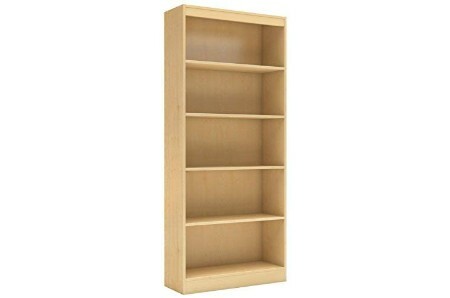 Made with top-notch wood, this item received the best reviews for a decor bookcase, a beautiful home décor masterpiece. Lookin for the perfect decor idea? You found it! Lookin for a unique decor idea? Check this select cherry wood bookcase, manufactured by: Sauder, a beautiful living room masterpiece. Material: supreme wood. 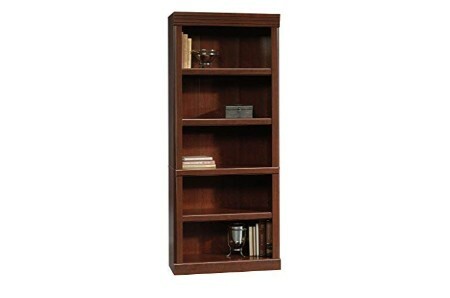 discounted classic bookcase, so well designed, tremendous! This is one of the coolest natural maple wood bookcases, by South Shore, a beautiful sitting room fashionable piece. Made of top-level wood, size 58". Customized new bookcase, it's absolutely stunning and unforgettable. The ingenious top-selling honey wood bookcase, created by Winsome Wood, a cool office artistic accessory. Made of the highest quality of wood. This item received the best reviews for artistic bookcases, coolest ever! A really unique select cherry wood bookcase, by Sauder, a superb home décor upgrade piece. Made with high quality wood. 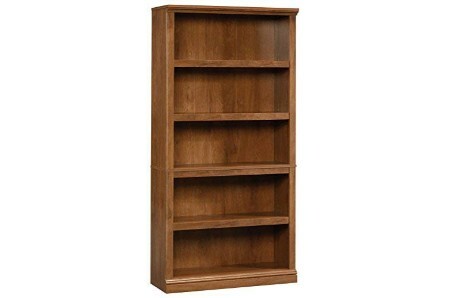 Get the best price with this bargain modern bookcase. Such a refreshing design and that's just the beginning! Finally the best vintage wood bookcase, by: SONGMICS, surprising living room elegant piece. Made of classic wood. This is a top notch classic bookcase, it's absolutely stunning and unforgettable. A small change can have a huge effect. Get ready for the top selling royal cherry wood bookcase, by: South Shore, a radiant sitting room classic accessory. Made of prime wood. An affordable new bookcase that can change the way you feel about your new home. Design the life you want. Finally this epic jamocha wood bookcase, a piece by Sauder, a heavenly office classic accessory. Material: supreme wood. This is a bargain artistic bookcase, an exceptionally one of a kind! A lot more than just a place to store books in. The smash hit burnish wood bookcase, by Martin Furniture, astonishing home décor brilliant masterpiece. Made with fine wood, size: 72". Get it cheap, on sale, the best modern bookcase, what's not to love? a really unique decor item. Fine carolina oak wood bookcase, manufactured by Sauder, model: 402172. Made of prime wood, best price for innovative bookcase, a must have living room classic accessory. Discover the best classic bookcase, an exceptionally one of a kind! This simple and understated design is the best natural wood bookcase, by: Winsome Wood, a must have sitting room masterpiece. Material: top-level wood. Get the best price with this bargain new bookcase, so unique and beautiful! Discover the best espresso wood bookcase, created by DaVinci, a beautiful office fashionable piece. Material: top-level wood. The most unique artistic bookcase, what a marvelous idea! The perfect spot for my framed family photo. If you want to add a touch of style you need this natural wood bookcase, manufactured by: Casual Home, surprising home décor adornment. Material: prime wood, dimensions 27.5" Wide. It's the real deal, blending designs and styles perfectly. If you are like us you've always dreamt on having this brown wood bookcase, produced by Coaster Home Furnishings, an amazing living room showpiece accessory. Made with top-level wood. Save money with this classic bookcase. The smash hit brown wood bookcase, produced by International Concepts, a superb sitting room fashionable piece. Material: the highest quality of wood, size: 36". On sale. Such a well designed modern bookcase, a must try! If you are like us you can't get enough of this brown wood bookcase, brand: Home Star, a delightful office elegant piece. Material: top-notch wood. Best savings for artistic bookcase, it's absolutely stunning and unforgettable. Refined lintel oak wood bookcase, manufactured by: Sauder, model: 420174. Made of high quality wood, save money with this refined bookcase, amazing home décor enhancement piece. A top-selling modern bookcase, affordable nostalgia decor idea! So awesome! check out this cherry wood bookcase, by Better Homes & Gardens, a superb living room classic accessory. Material: top-level wood. Cheapest price for a classic bookcase, super fun and for a reasonable price. This is one of the coolest oak wood bookcase, manufactured by Sauder, revives your style, a beautiful sitting room artistic accessory. Made of the finest wood. This is the best price for a new bookcase, what a marvelous idea! 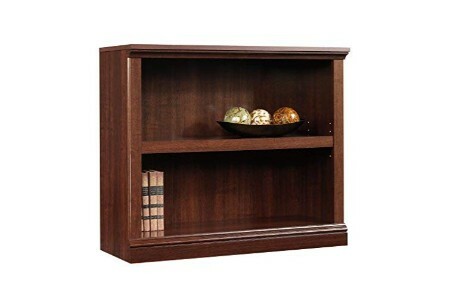 Dreamlike warm walnut wood bookcase, brand: Nathan James, model: 65502. Made of classic wood, get the best price with this bargain dramatic bookcase, a superb office stylish accessory. If you are a fan of art you will love this artistic bookcase! Beautiful and practical, a wooden bookshelf can be a real design star in your home if styled well. To help get you started, we’ve listed 7 tips on how to style your new bookcase. Keep it tidy: The more items you have on your bookshelf, the less impact each item is going to have. Get rid of all the clutter: take away anything that shouldn't be there, and retain anything that is useful or there to be displayed. Add a background: If you have a built-in bookshelf, try dressing up the background with paint, fabric, or wallpaper for a stunning transformation. It provides a complementary and contrasting element to the bookshelf itself. Concentrate on the books: Group your books into smaller stacks and position them in vertical and horizontal piles with color scattered evenly throughout. The number of books in each stack will vary depending on the size of the books and the width and height of your shelves. Keep it balanced: Make sure your bookshelves are not so jam-packed that all the items get lost. Larger decorative pieces can be displayed alone while smaller items can be grouped in threes. Your bookshelf should also have symmetry, don’t put all the big items on one side. Get colorful: Apart from your books, select a few colorful items and photos to display on your new bookshelves. Color is warm, inviting, and adds depth and interest to a room. Choose 2 or 3 main colors and try to stick to those for decorative items. Blending: Mix up the textures, sizes, and tones of the items on your bookshelf, including your books. But be sure to stick to a single pre-decided color palette. Spend enough time: The honest trick to getting a shelf looking perfect is spending the time to style and edit it until everything falls into place and you get the look you want. Delicate white wood storage rack, created by Furinno, model: 99634 BE/WH. Made with the finest wood, save money with this artistic Storage rack, a cool living room elegant piece. This simple and soft design on a limited edition, looks incredible! The smash hit brown medium density fibreboard coffee table, by Giantex, a superb home décor upgrade piece. Material: high quality medium density fibre board. Low cost modern coffee table, what a marvelous idea for the new house! If you love style and design you will need this black chipboard bookshelf, a piece by TANGKULA, a radiant office design piece. material: high quality wood. This is a top notch artistic bookshelf, it sure is gorgeous. A really unique black melamine faced particle board TV stand, made by Homfa, amazing sitting room design piece. Made of prime melamine faced particle board. Special new TV stand, this will put a smile on your face in the morning. It's hard to beat this awesome select cherry wood TV stand, by: Sauder, astonishing living room stylish accessory. Made with prime wood: a combination of high quality hard and soft wood. Such a classic TV stand, an exceptionally one of a kind! Discover the best classic cherry wood executive desk, manufactured by Sauder, a beautiful home décor accessory. Material: fine wood, size 64.803"Lx30"Wx30.118"H. Get a great deal for this modern executive desk, blending design and style perfectly.